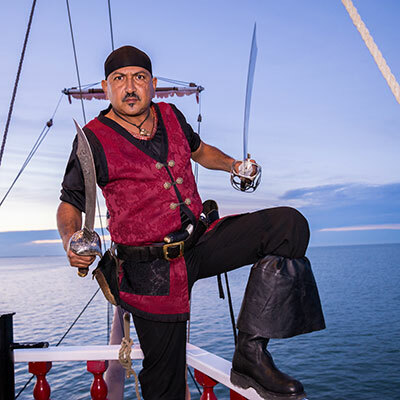 Captain Black-Hearted Andy, “Scourge Of the Laguna Madre,” invites you to join him and his jolly crew of wastrels and brigands on this interactive pirate adventure cruise. Lots of entertainment, lots of excitement and lots of pure fun for all you kids aged 2 to 92. Come aboard and learn to fight like a pirate, speak like a pirate, hunt for treasure like a pirate and share the booty. Be sure and arrive early (a half hour or so) for the “meet and greet” session on the waterfront patio behind Black Jack’s restaurant where food and beverages are available. 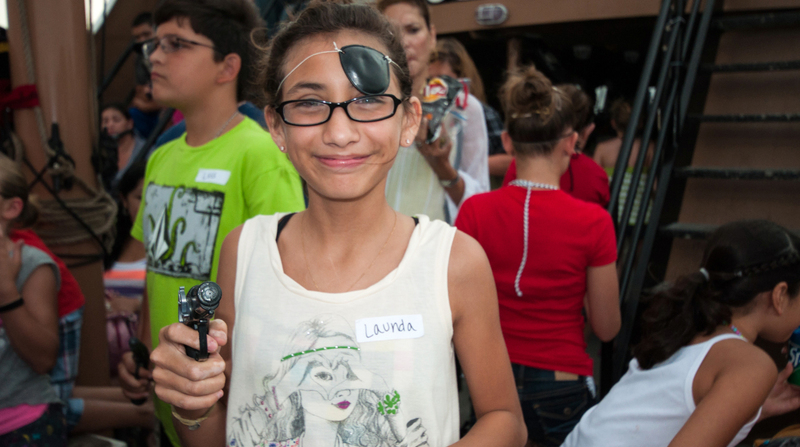 Our pirates will introduce themselves, do some improv and fire the 9 lb “Gollywobbler” cannon signaling “All Aboard” . Available for purchase on the ship: sodas, snacks, beer and wine. 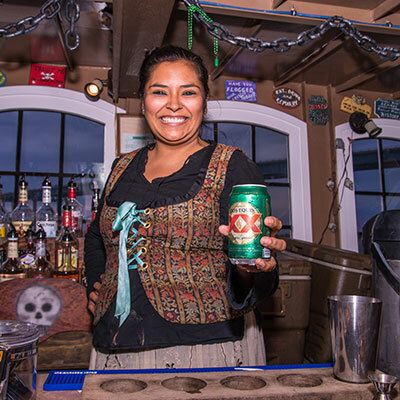 We also offer pina coladas, rum, tequila and whiskey based drinks. 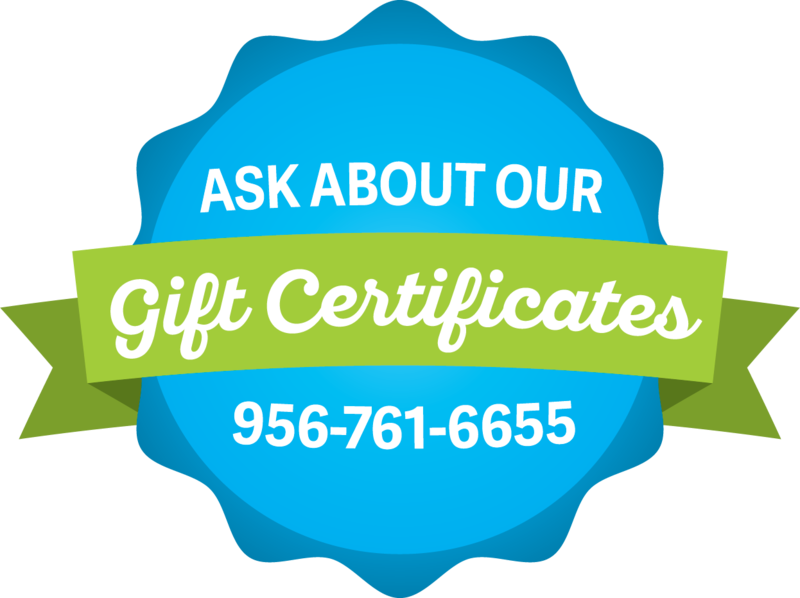 We accept Master Card and Visa aboard Black Dragon. 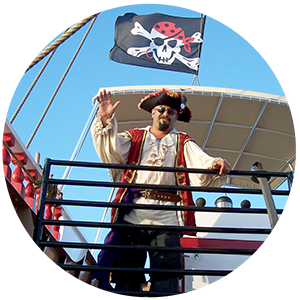 There will be pre-boarding photo ops with captain and crew and the photos will be ready for purchase at the conclusion of the voyage. 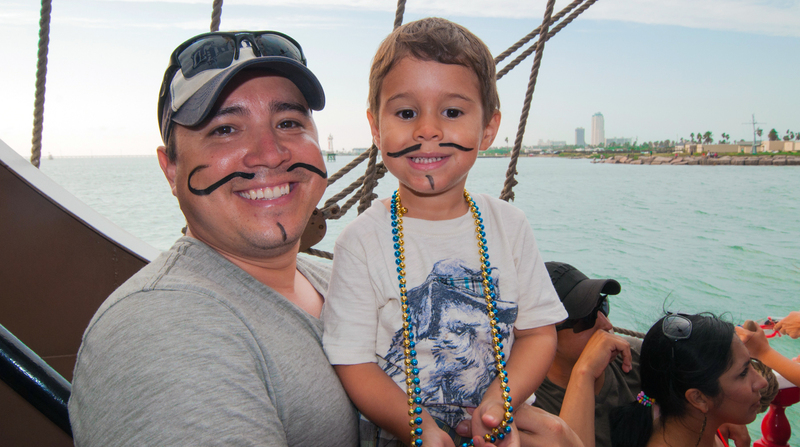 All cruises include a crew of professional pirates who entertain with pirate stories, face painting, treasure hunts, water pistol battles, sword fighting, music, and loads of family fun for all ages. Don’t miss the dolphin watching on almost every cruise! 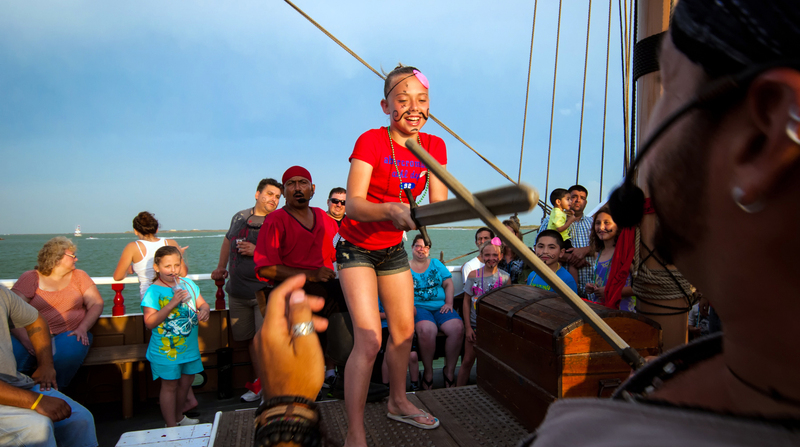 Out on the waters of the Laguna Madre in South Padre Island, our pirates sail the high seas. 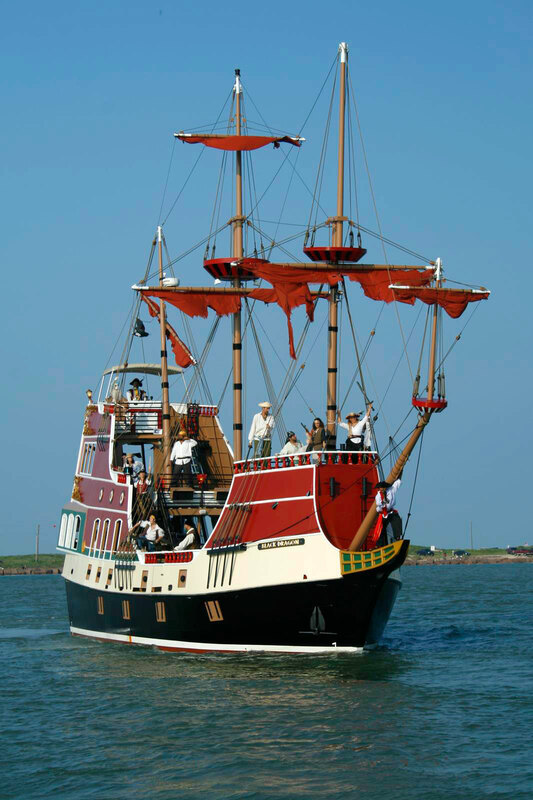 The Black Dragon be more than a beautiful pirate ship; she is manned by a gathering of thieves, brigands, cutthroats and back-stabbing blackguards, the likes of which have not been seen since the days of Blackbeard! Get tickets today. She mounts 10 “cannons,” fired by computer with a full range of visual and audio effects. When her cannons roar, you’ll think you’re in the middle of a 17th century naval battle. 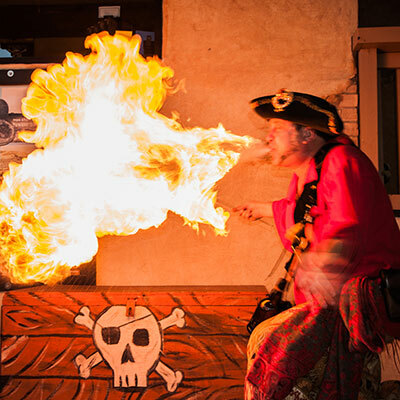 Be daring aboard ye’ mighty Black Dragon Pirate shop and learn the skills to being a pirate. 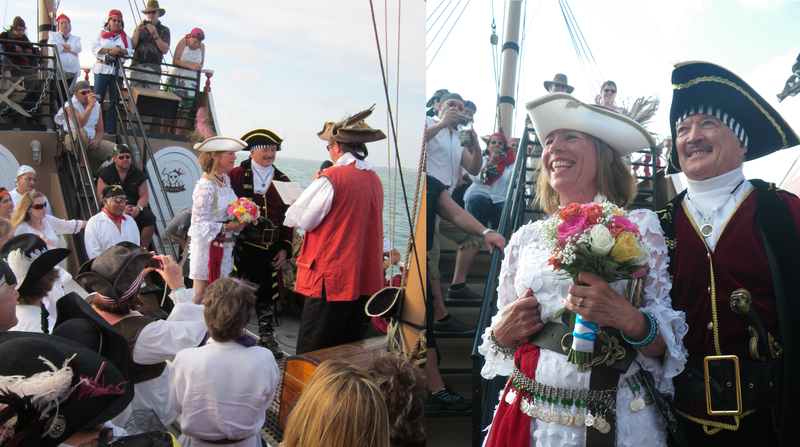 Plan a special and uniquely themed wedding or private event on any of our ships. 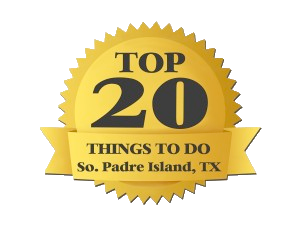 Call 956-592-2223 today to book your adventure. 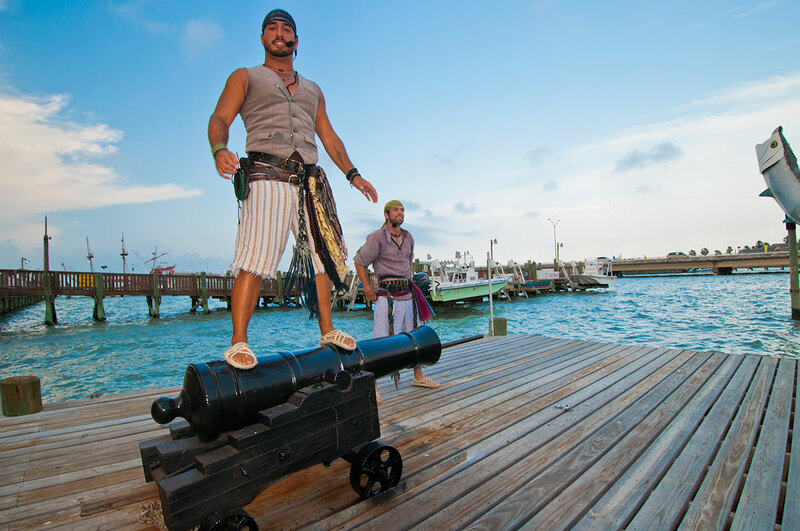 Beat the heat and take on some pirates with ye’ trusty water pistols. 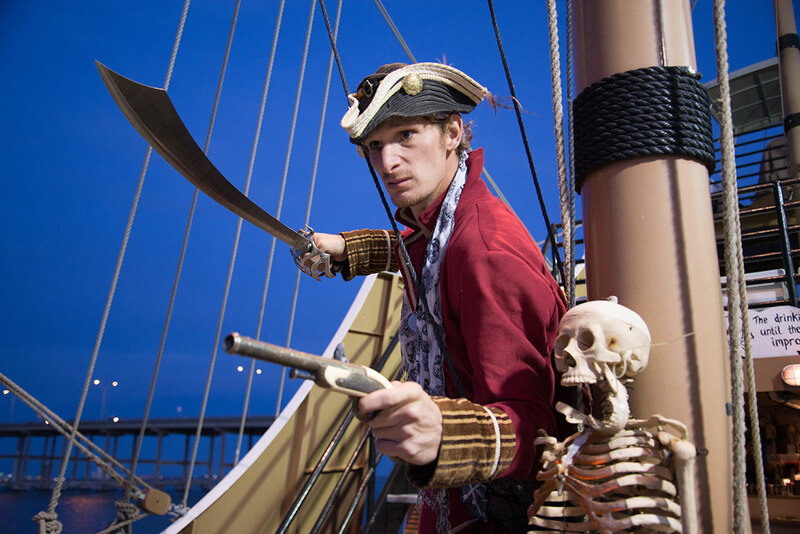 You never know when you’ll run into a pirate threatening mutiny aboard the Black Dragon. 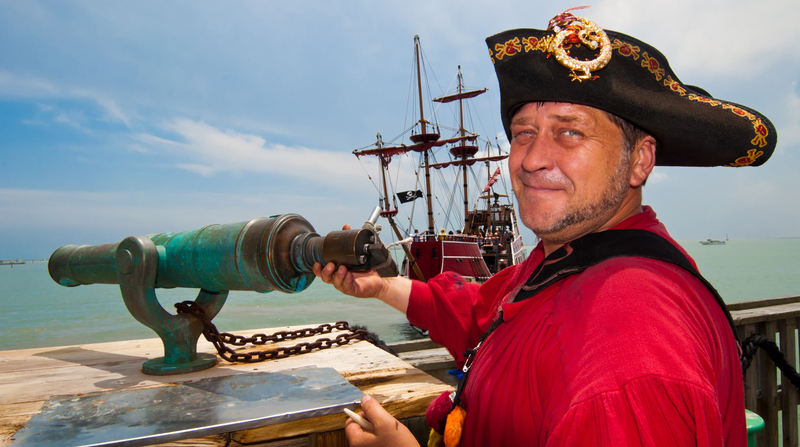 But never fear, for the Black Dragon comes armed with a full set of cannons to defend the treasure. 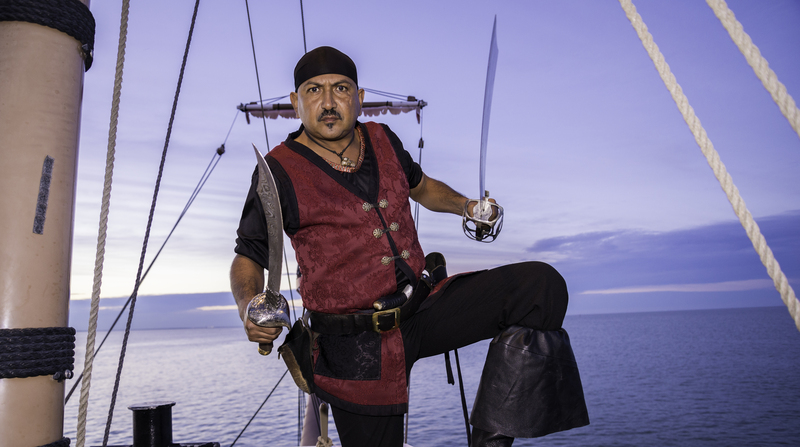 If you talk like a pirate, fight like a pirate, and walk like a pirate, you might also end up looking like a pirate on the Black Dragon. 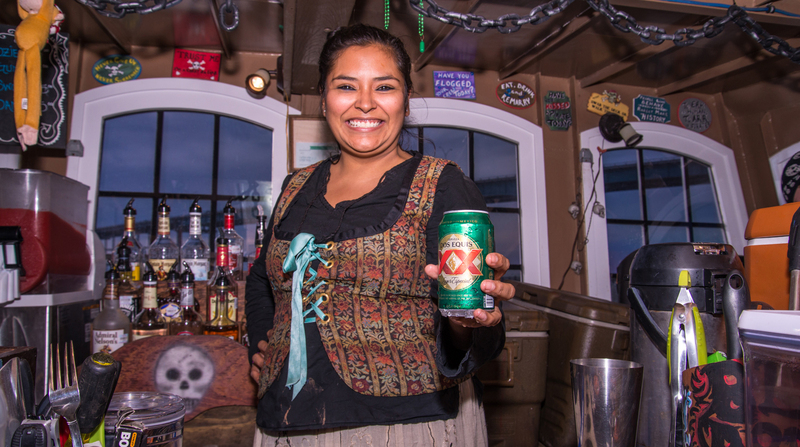 Any snacks and drinks ye’ desire be served aboard the Black Dragon. What be the Black Dragon? Our Black Dragon was constructed at Duckworth Shipyard, Tarpon Springs, FL and designed by Daniel J. Avoures & Assoc., of Tampa.